ISSB TEST: Great importance in Pakistan and the candidates always prefer to perform well in it. 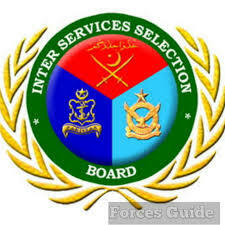 The Inter Services Selection Board (ISSB) is a board for the selection of applicants for officer commissions in armed forces of Pakistan such as Army, Navy as well as Air Force. ISSB is the communicated organization which is mainly established to train and developed the manpower which is basically being utilized in armed forces of Pakistan for future. The second name of ISSB is the training hub or the nursery for the Armed forces of Pakistan. The selection is ISSB basically made on the basis of five days of psychological screening to test the ability of the candidate, the aptitude as well as the personality of a candidate. The ISSB for selection of candidates are usually held in any one of the three centers of Pakistan which are named as KOHAT, Gujranwala and Malir. The ISSB test is mainly held for all the three departments of armed forces in Pakistan whereas it is the headquarters which decides the number of applicants which are being documented and that depends upon the conditions and on the scenarios as well.